File-sharing services are getting pretty sophisticated these days, using the cloud to do a lot of the heavy lifting when it comes to not only transferring files, but managing them as well. ShareFile, a fast-growing company founded five years ago which is based in Raleigh, North Carolina, is releasing a new product called Sync today targeted at enterprises that want an easier way to sync files between desktops and servers. ShareFile competes with services such as Dropbox and Box.net, but is more focussed on IT departments. 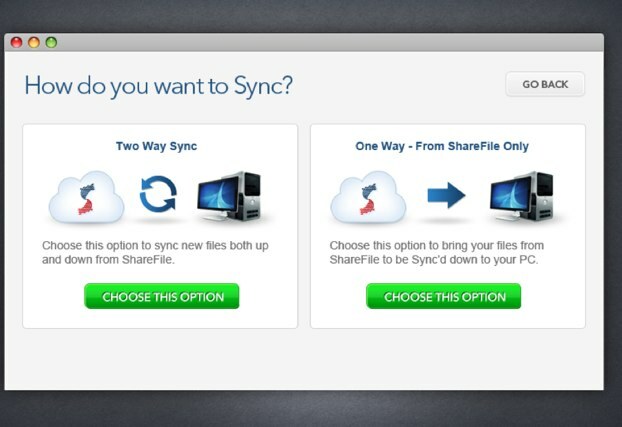 Like Dropbox, ShareFile allows you to choose a folder on your computer (PC or Mac) to sync to the cloud. Where ShareFile differs from something like Dropbox is that it makes it easier to sync the same files with multiple users and other advanced workflows. For instance, you can set up one-way syncs just for updating files from a master source, as well as two-way syncs to capture updates from all machines. Also, ShareFile maps to your computer’s existing file structure, so you don’t have to place a file in a special folder to make sure it syncs. Once they are synced, the files are accessible via the Web and mobile as well. ShareFile charges a subscription for its services, and Sync will either cost $10 extra per month, or be included, depending on the subscription level. WIthin the next two months, ShareFile plans on introducing an even more robust Enterprise Sync product which will run on Linux and Windows servers, and allow for file sync scheduling and prioritization.